In the afternoon of July 26th, China Foundation for Poverty Alleviation and Shih Wing Ching Foundation (Hong Kong) Beijing Office jointly held the Forum on Poverty Reduction Practices of NGOs in China and “Belt and Road” Countries with the theme of “Accumulating poverty reduction experience of civil societies in ‘Belt and Road’ countries and boosting South-South development cooperation” in the School of Public Administration at Tsinghua University. In line with the “Belt and Road” initiative and the advocacy of “Community of Common Destiny”, the Chinese People’s Association for Friendship with Foreign Countries and Tsinghua University has been hosting the annual World Philanthropy Forum. In 2017, the Forum established Anti-poverty and Cooperation Group, aiming to boost facilitation and cooperation within the anti-poverty field including summarizing experiences gained from China’s past anti-poverty work as well as linking relevant resources in “Belt and Road” countries. The Forum comprises of more than ten anti-Poverty NGOs including China Foundation for Poverty Alleviation, Shih Wing Ching Foundation (Hong Kong), and Oxfam Hong Kong. 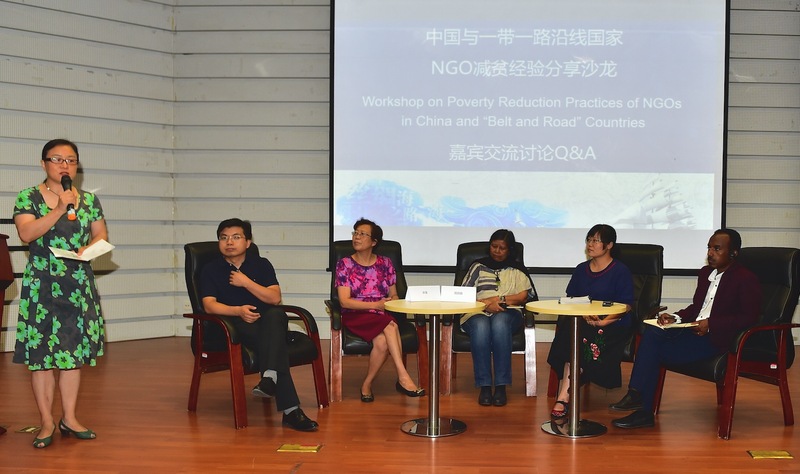 The Workshop on Poverty Reduction Practices of NGOs in China and “Belt and Road” Countries is funded by Shih Wing Ching Foundation (Hong Kong) and implemented by China Foundation for Poverty Alleviation. By inviting NGO representatives from countries along the “Belt and Road” to visit China’s anti-poverty projects and promoting mutual exchanges on anti-poverty experiences in the form of this forum, the workshop intends to contribute to the global anti-poverty efforts. The Workshop contains field visits in Yunnan and Hebei from July 20th to 25th and the Forum in Tsinghua University on July 26th. Deependra Panta from National Rehabilitation Society for the Disabled in Nepal, Soe Moe Aung from China Foundation for Poverty Alleviation Myanmar Office, Vannara Tek from the NGO Forum on Cambodia, Daniel Worku Hunegnaw from China Foundation for Poverty Alleviation Ethiopia Office, and Naiyana Waikham from Northern Development Foundation in Thailand shared their own experience during the field visits and reflections on China's poverty alleviation practices. 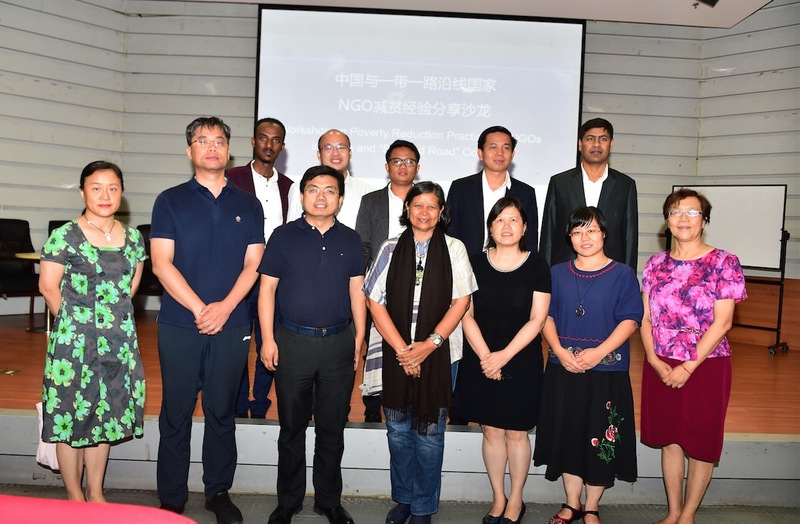 At the same time, to better promote mutual communication, five representatives of Chinese non-profit organizations engaged in poverty alleviation work also engaged in dialogues with international guests with their local experience. They are Chen Hongtao, Deputy Secretary General of China Foundation for Poverty Alleviation, Zhou Lijuan , Program Manager of Shih Wing Ching Foundation (Hong Kong) Beijing Office, Kevin May, China and Developing Countries Program Manager of Oxfam Hong Kong Beijing Office, and Li Lian, President Assistant of China Association of Poverty Alleviation & Development. Wu Peng, Director of International Development Department of CFPA, and Secretary General Chen Yimei of Vanke Foundation moderated the panel discussions and Q&A sessions. 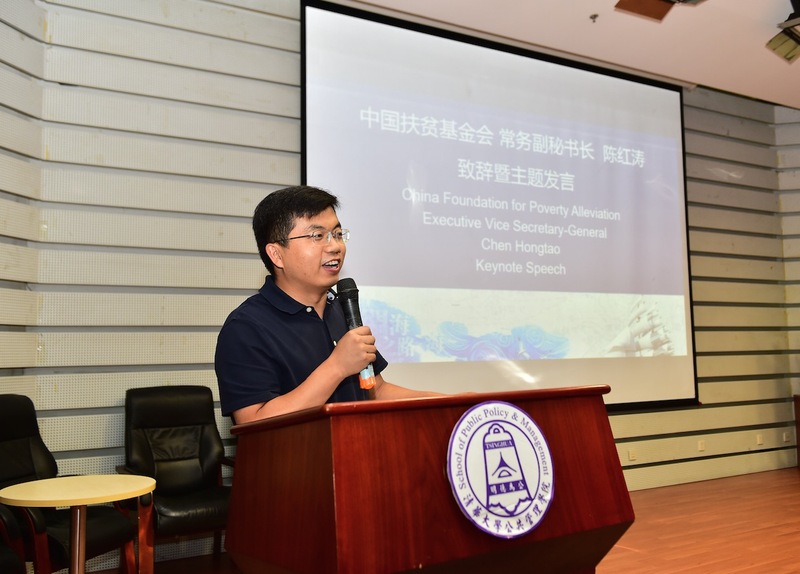 Chen Hongtao, deputy secretary-general of CFPA, delivered a speech and introduced the achievements of China's poverty alleviation and development work in his keynote speech. He also shared the working principles of poverty alleviation projects CFPA is conducting in countries along the Belt and Road.